pescada, pescadilla, pijota, OCast luz, llus, merluça, morralla,moral pixota, L. Merluccius merluccins, Eng. 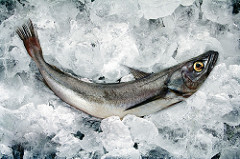 European hake is an edible, dry marine fish of the cod family. Its shape somewhat resembles pike. It is found in the Atlantic and the Mediterranean. From the 15th-16th C. Andalusians also caught hake at mouths of Lukus and Sebou Rivers and Cape Agadir, a southern seaport on Atlantic coast of Morocco. Hake caught there was known for its tastiness. The Duke of Medina Sidonia controlled the Andalusian fisheries from 1449 until the end of the 18th C at least. Pescadilla and pijota are young hakes that have passed the first stage of growth but have not reached normal development. Hake is an ideal white fish for baking in the oven, fried, breaded, cut into rounds etc. It appears that recipes came from the Basque coast on the Atlantic oven. 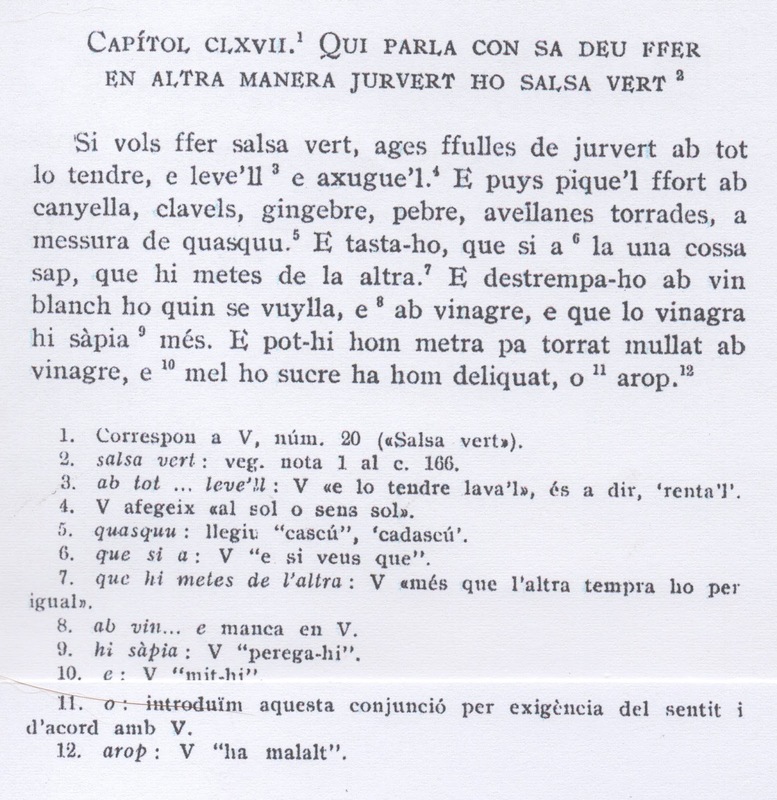 Parsley sauce, never he less originated in Catalonia. 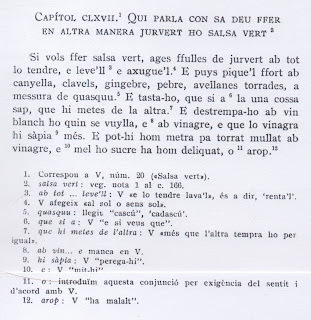 The first recipes appear in Sent Soví, the culinary manual from the 14th century. Villena advised that hake should be carved lengthwise like the conger. He claimed that the best part, if fried, is the head and the parts closest to it. If boiled, the thickest part sliced or separated into pieces is the best. Upon receiving the King of Castile during Lent of 1464 Miguel Lucas Iranzo ordered fresh breaded fish and hake to be brought to Susana, the town in which they were eating. Pacific hake does not taste the same. The conger there is the closest to hake. See congrio. Put sliced onion in water. Bring to a boil and cook 15-20 minutes until the onion is soft. Put hake into a steamer over the onion. Steam about 7 minutes or until done. Using a food processor, blend parsley, spices, almonds into a paste. or sugar and heat. If the sauce becomes too thick add more wine and vinegar. Place onions on a serving plate. Cover with hake. Pour sauce over it and garnish with parsley leaves and sliced almonds. Serve at room temperature or heat in the microwave for a minute. 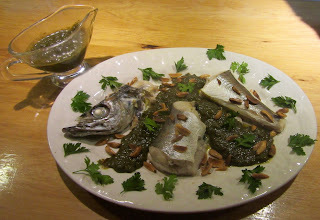 Hake is not included in the menu but it is understood that parsley sauce was common when hake was served.